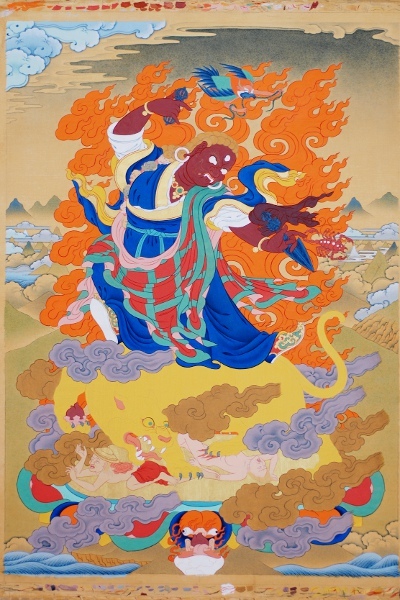 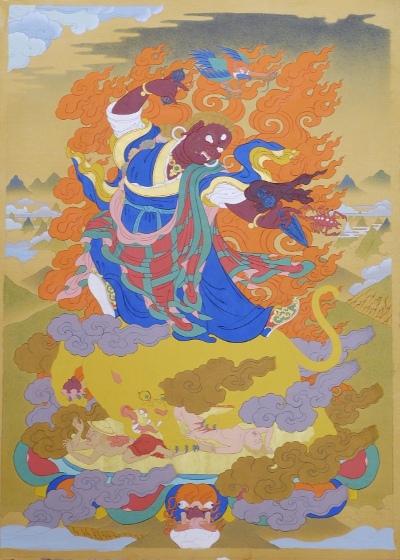 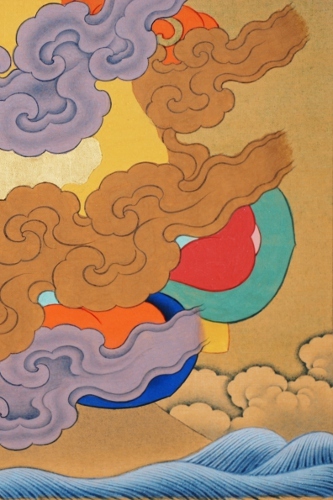 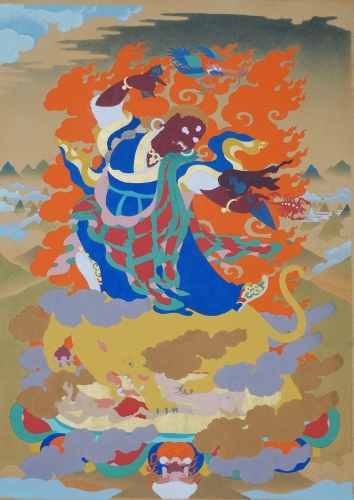 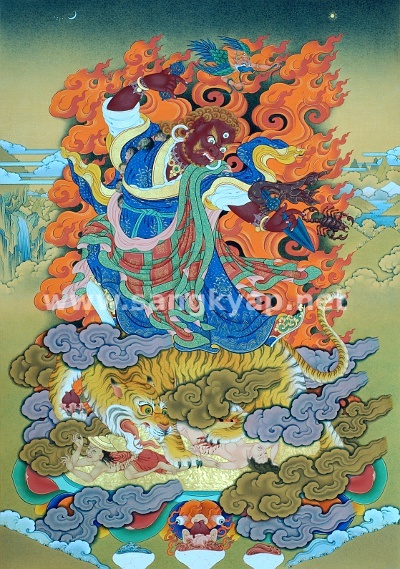 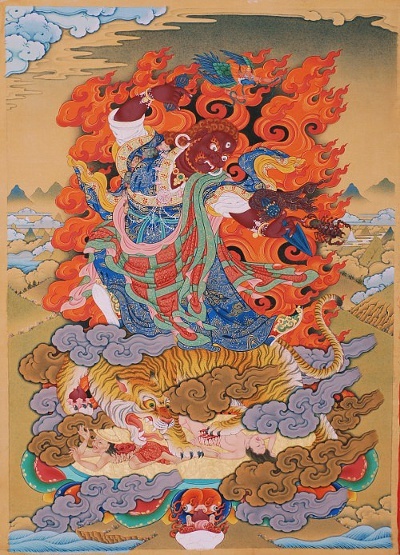 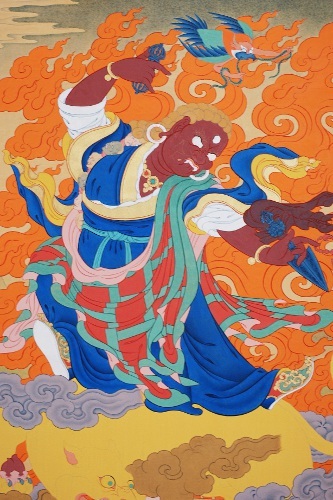 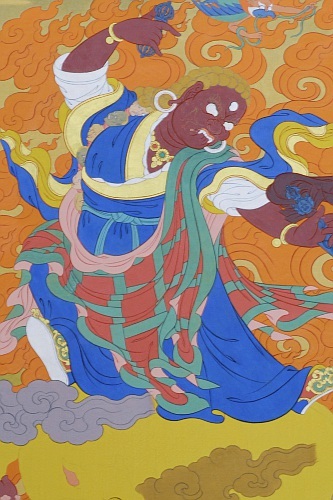 In fact, I was painting two of the same thangkas at the same time and the second one has just completed. 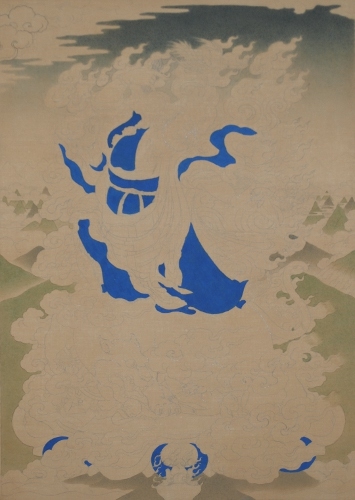 Blue shading on the cloth,cloud, water,,,etc. 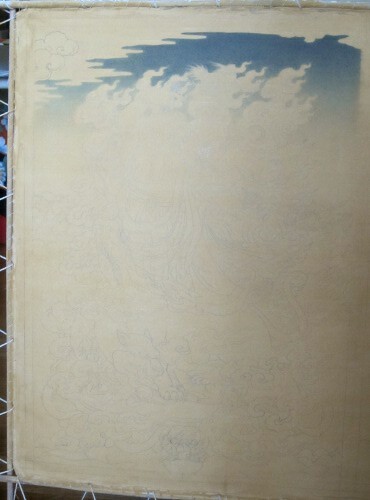 Base colors and the white shading on clouds. 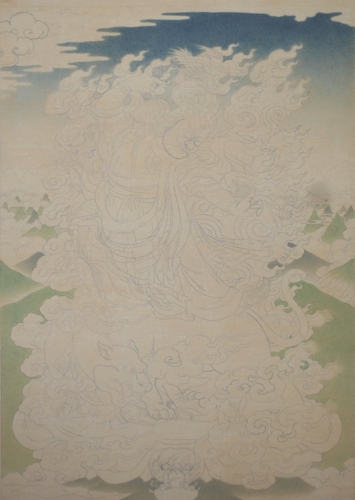 For the 21 taras, I'm painting the gold.